The Texas Water Development Board is charged with developing a comprehensive state water plan. The state has been divided into 16 planning regions and regional planning groups have been appointed. 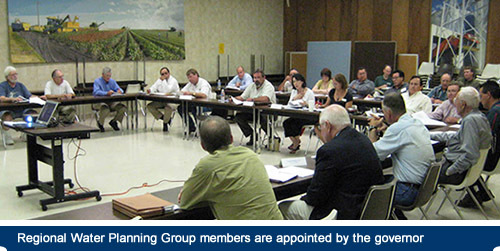 The Coastal Bend Regional Planning Group adopted the most recent version of the Regional Plan in September 2010. You can download PDF files of elements of the Plan here along with the Planning Group's newsletters.